Tony Britton won a BAFTA nomination for his central performance in this finely observed drama about a veteran Labour back-bencher who risks the remains of his career when he re-engages in the grass-roots politics of his northern working-class constituency. Starting life as a single ITV Playhouse drama which won the Broadcasting Press Guild's award for Best Single Play in 1975, The Nearly Man follows the events of seven months in a critical year for Christopher Collinson – a public-school MP with the perfect credentials for a candidate in the forthcoming general election. The series charts his uneasy relationship with party activists, the intrigues and aggression of politics – and the impact of Collinson's renewed ambition upon his marriage. 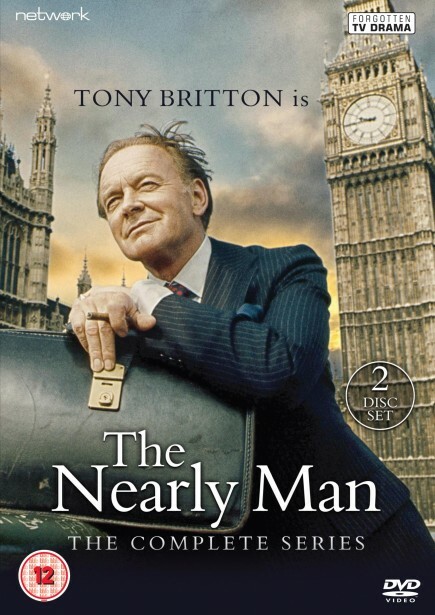 This set features all seven episodes of the series along with the single play, devised and written by BAFTA winner Arthur Hopcraft.